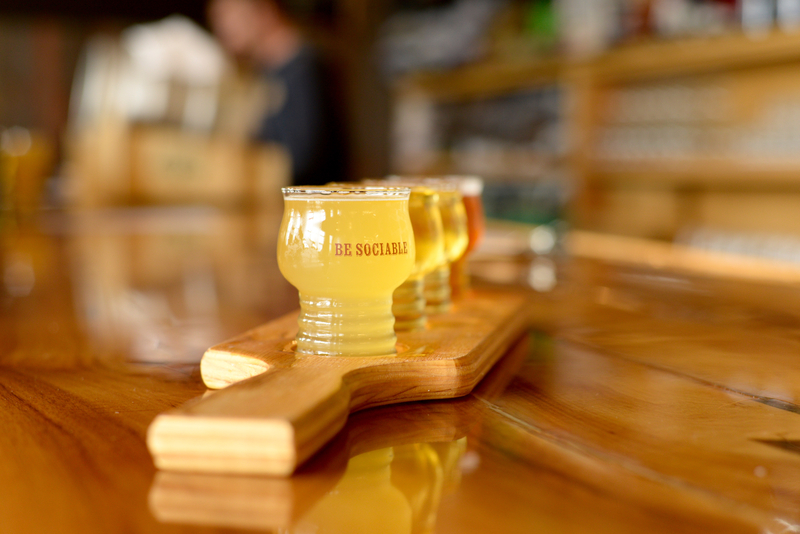 I’d been saving a visit to Sociable for a time when I didn’t feel like driving multiple hours to a taproom. 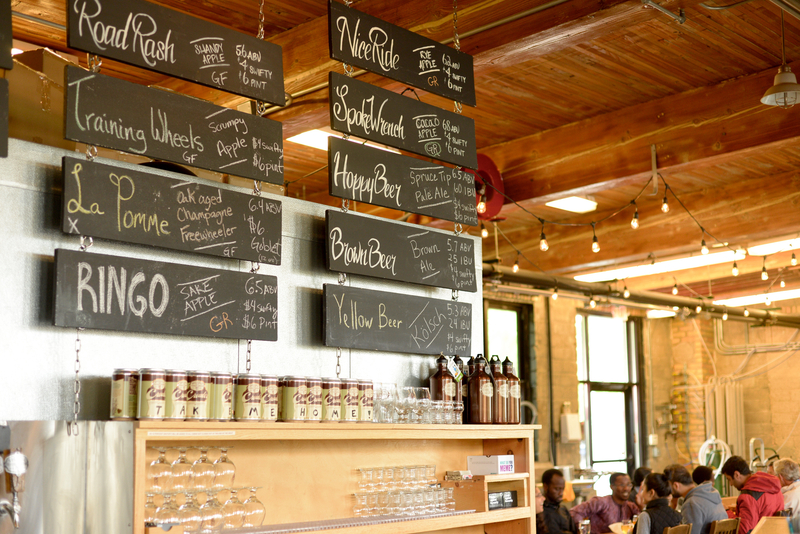 The Northeast Minneapolis cidery/brewery was definitely worth the wait. 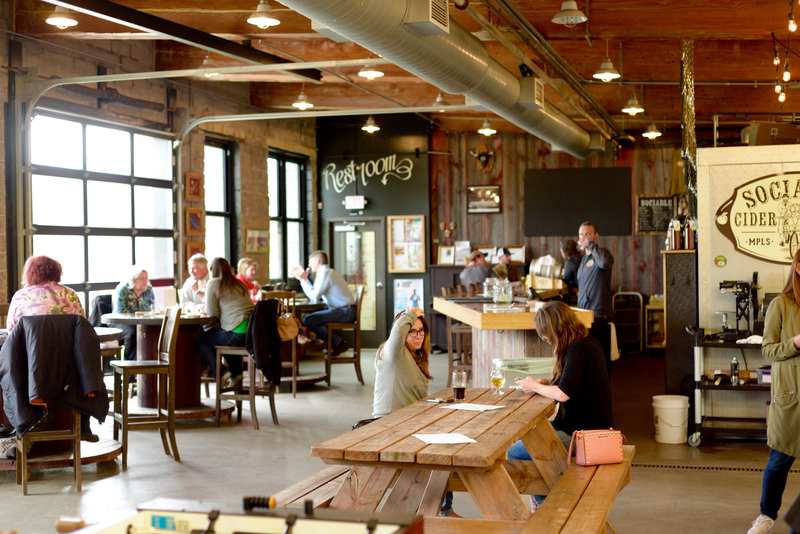 Though I’d been to the Sociable taproom previously, it was in the dark ages—before I’d “gotten into” craft beer and cider. Now, I could fully appreciate the tangy sour smell of yeast in the brewhouse and understand what it means to order a flight. Like most of its counterparts, Sociable is located in a highly industrial area, and it mostly lets the building’s character handle the decor. Some old time-y script and chalk art bring it round to the brand. 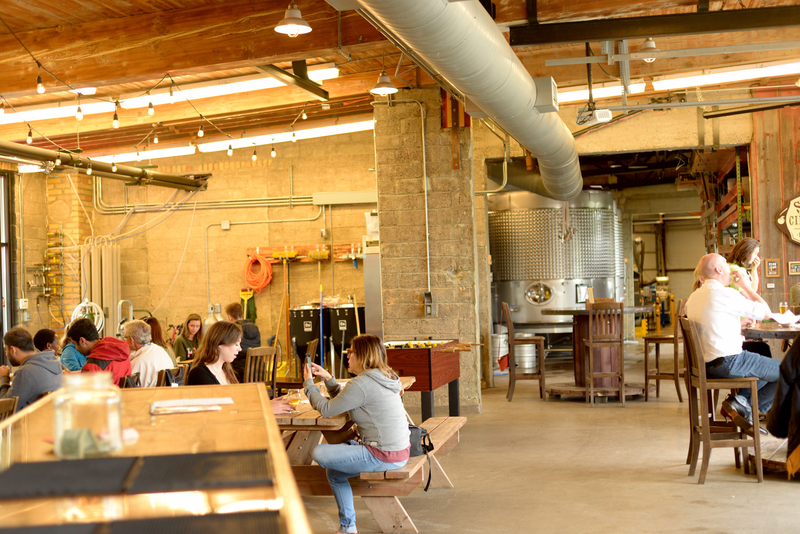 Otherwise, it’s all concrete floors, food trucks, and picnic tables—an ambiance after my own heart. Cask — Not sure what it was, but I was basically drinking fancy adult lemonade, and I didn’t want to stop. Burnout — 5.8% ABV. This cucumber habanero cider drinks easy and leaves a strong spicy kick on the back of the tongue. Spruce Tip Pale Ale — 6.5% ABV, 60 IBU. You know how some people don’t drink gin because it tastes like Christmas trees? This is the kind of Christmas tree you do want to drink. It will make you feel like a true Minnesotan. La Pomme, the Oak Aged Champagne Freewheeler — 6.4% ABV. This was the more classic cider: sweet and light. While this advice may seem a bit facetious, I think there’s a lesson here about living within your means. We must simply put our heads down and our noses to the grindstone until we’re ready for the next step. In the meantime, I advise blowing off a little steam in your local taproom.